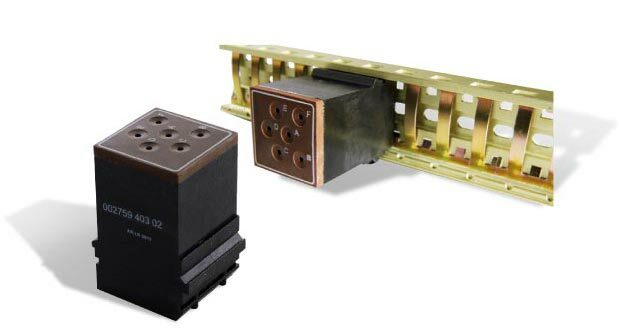 Amphenol-Air LB is one of the strongest partners in the defense industry and is the world leader in the area of connectors with a complete assortment for a broad spectrum of deployment scenarios. Our products are found in radar equipment, military aircraft and drones, armored vehicles, digital radios and Active Protection Systems. We develop innovative products in close collaboration with companies in this industry in order to meet the challenges of the future. 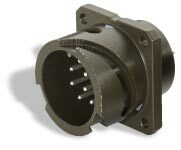 The GCB-B series of round connectors have proven themselves in military vehicle deployment. Its wide lock tracks ensure that the connectors clean themselves constantly. 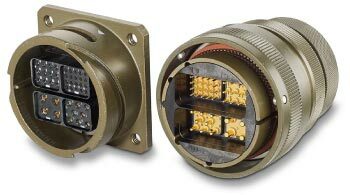 GCB-M connectors are used in Active Protection Systems in military vehicles. 230,000 layouts provide any combination of control signals, power, fiber optics, coax or differential signals. The EN4165 SIM module is a platform for several Amphenol-Air LB connector families. This uses a new manufacturing technology which ensures 100% tightness. In contrast to traditional manufacturing, a housing takes the contact system. Then the system is completely filled with a molding compound. In the same process, and in the same molding filling, the grommet, interface seal and - depending upon requirements - peripheral seal is sprayed in, the molding compound completely covers all cavities and seals the contact chamber and facings. The contact chambers are completely separate from one another. This module is released in the MbBN 3330 standard for use in NH90 and PAH2 helicopters. This low-frequency distributor module was developed as a databus module (ARINC 429 communications protocol) specially for avionics in helicopters, such as the CH53. The twinax-triax module can distribute higher frequencies up to 100 KHZ. This reduces cable lengths as well as the number of interfaces, saving time and weight. Compact and light: delivers compact, miniature connectors with the highest reliability for use in missiles. 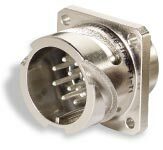 The miniature Micro-D connector is perfect for wiring in missiles due to its compact size and very low weight. The connector is wired or provided with soldered or PCB contacts as well as in a filter version. Minimal size and weight: The 2M miniature connector from Amphenol-Air LB offers the best solution for energy supply and data transfer in drones. Its small size and minimum weight, paired with outstanding shock- and vibration resistance makes the 2M connector the perfect solution for electrical supply and data transmission in drones used in the military. Maximum flexibility: The soldier of the future is outfitted with a modular design as the best preparation for every application. Equipment, clothing and weapons form the basic BS system. 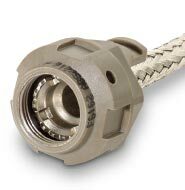 Connectors from Amphenol-Air LB ensure perfect networking and the best-possible flow of information. 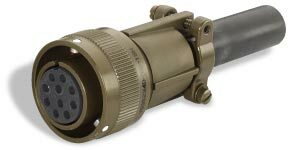 The SCE2 Terrapin connectors are suitable for intelligent networking of communications components in battle jackets. They serve as the connectors between the headset and radio unit or mini computer. Amphenol-Air LB also delivers a complete active webbing connection system for MAN LAN. Safety, reliability on the screen: Radar systems are used for monitoring in civil and military environments - and housings and connectors from Amphenol-Air LB are essential in modern radar equipment. Reliable round plug connector with bayonet locking for crimp, solder and wire-wrap contacts. The SJT series plug is known for its top reliability due to its 100% contact protection. Shells ensure strain relief for cables, and are therefore an indispensable part of each connector. As the leading manufacturer, Amphenol-Air LB offers shells for rectangular and round connectors made of metal and composite, fulfilling all plug standards. Pioneering technology: Innovative components from Amphenol-Air LB provide effective data exchange between management, information and monitoring systems in military organizations - the result is a precise situation representation for optimal decision-making and the best-possible guidance. 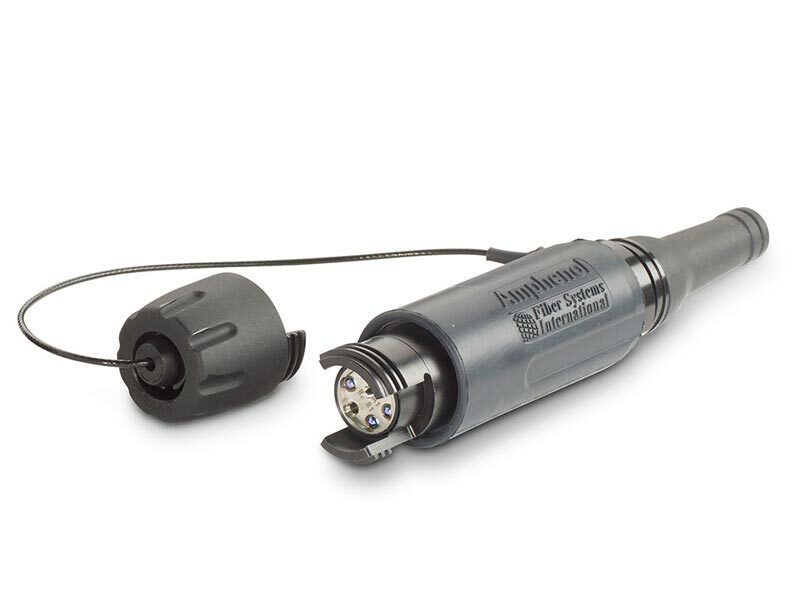 TacBeam is a hermaphroditic lens plug connector, insensitive to dust and dirt. This plug connector is qualified as per MIL-DTL-83526/20 and 21. In addition, it is approved as per VG95319-100, and is thus suitable for outdoor applications. The Lumière optical waveguide contact supplements the EN4531, EN4165, EN3545 and ABS1696 connector series in single mode as well as in multi-mode versions in different C4I applications.